Remo 3D is an effective tool for creating and modifying 3D models intended for realtime visualization. 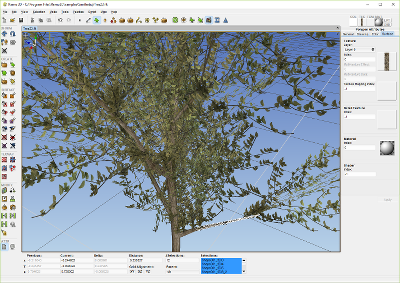 Remo 3D's primary file format is OpenFlight® and it allows for importing from and exporting to different file formats. There is also a Remo 3D white paper that contains a more comprehensive and technical description of the product. 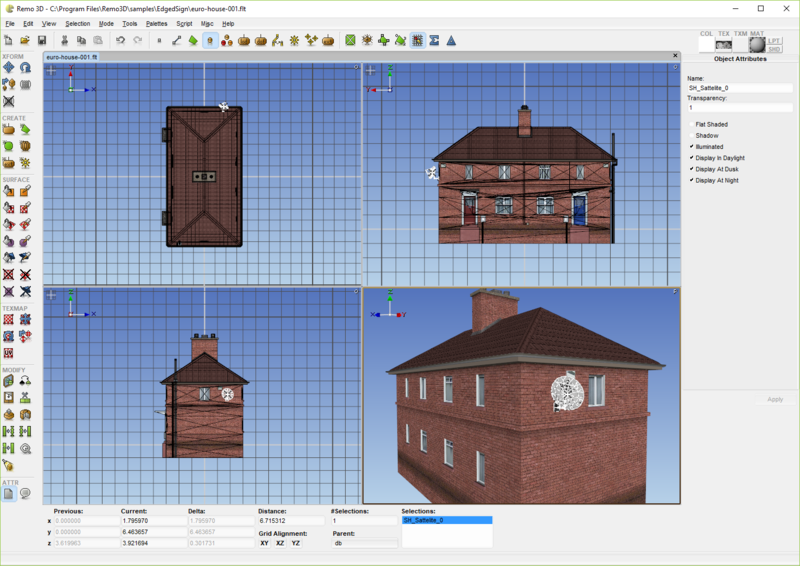 As opposed to many other 3D modeling products that are primarily intended for rendering, Remo 3D offers the user full control of the model scene graph and allows for modification of features like degree-of-freedom nodes, level-of-detail nodes, switch nodes, etc. 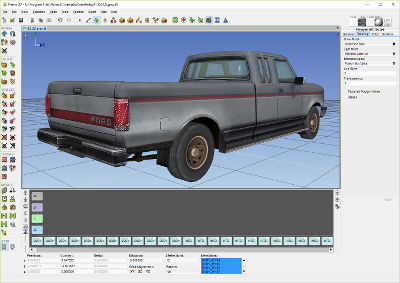 Furthermore, the process of creating models in Remo 3D allows for focusing on the individual polygons and vertices. 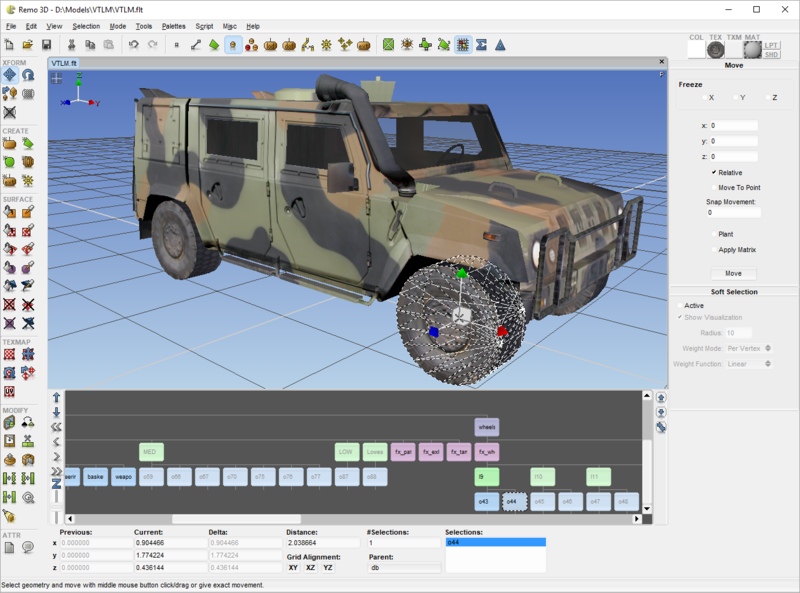 All in all, this makes Remo 3D exceptionally suitable for creating and modifying 3D models intended for realtime visualization. Remo 3D supports scripting of all interactively available functionality in Remo 3D. 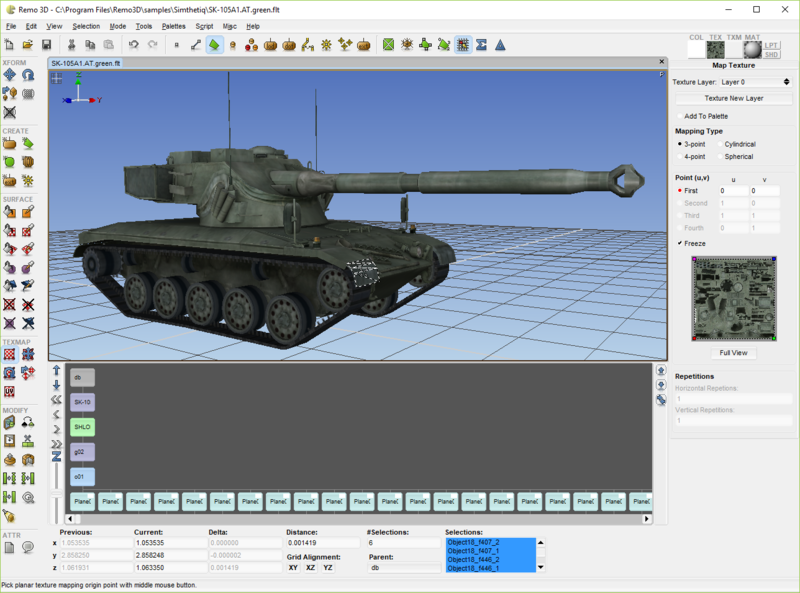 A Remo 3D script is written in the Lua scripting language, but all interactive operations in Remo 3D can also be automatically recorded to a script, so that no coding has to be made. 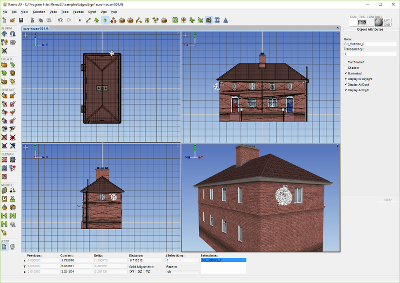 User-defined macros (script + parameters) can be added, effectively acting as new tools in Remo 3D. This makes the product extensible in the sense that users can add new functionality and share scripts and macros between each other. 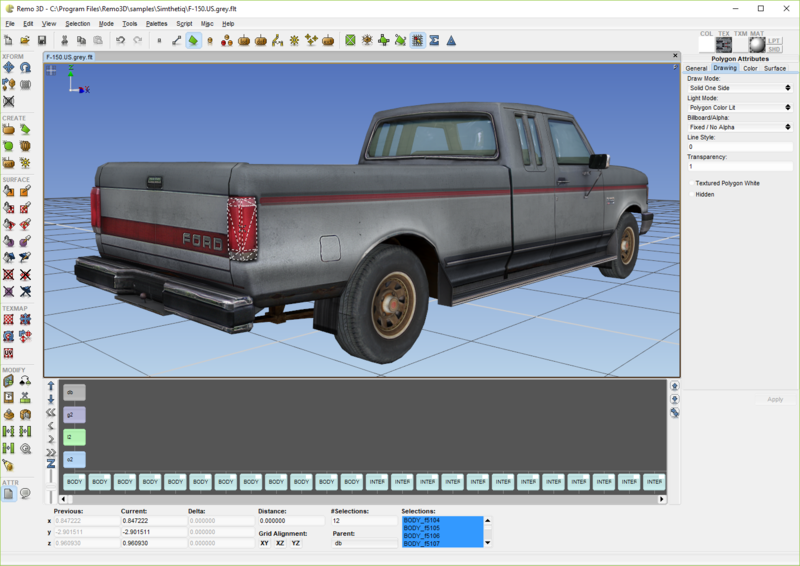 A free collection of scripts and macros is available from the Scripts section. Remograph is also available for development of custom scripts and macros, a cost-effective way of letting professionals solve your time-consuming manual editing problems once and for all. 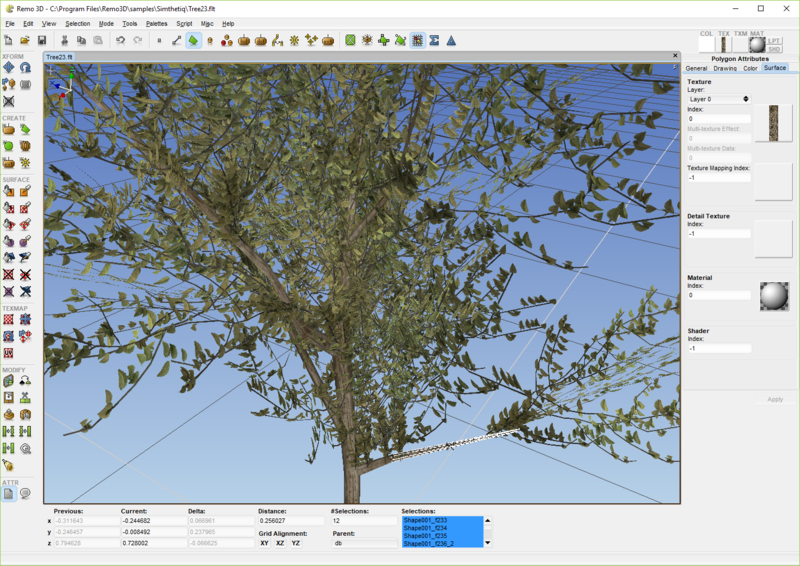 Remo 3D is currently available for Microsoft® Windows® 10/8 64-bit and Linux 64-bit. It has been tested on different versions of Ubuntu, Fedora Core, Debian and SuSE. 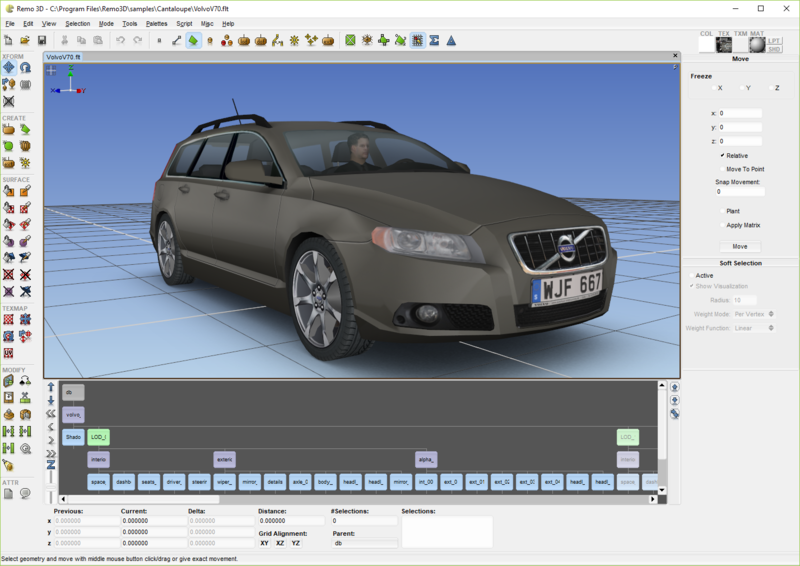 Other Linux systems may be supported, just download the Remo 3D demo version from the Download section and try it out. Please report any experiences to: support@remograph.com. 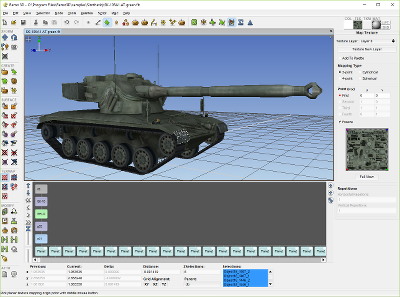 A demo version of Remo 3D can be downloaded from the Download section. The full version is available for purchasing from the Purchase section.